Your child’s birthday party is just around the corner and it’s time to whip out your checklist to make sure all the important details are in place. 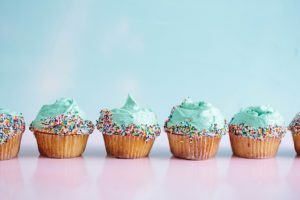 You’ve ordered a delicious surprise cake, found little favors the kids will love as goody bags and hired a professional children’s entertainer to keep the little ones engaged. You also have a few games in mind to keep everybody’s spirits high. Now all that’s left is to decide what kind of simple party food for kids to serve all the guests. Although, you may be tempted to go out of your way to whip up a few time-consuming elaborate treats, it is always best to serve party finger foods that are simple yet yummy. After all, you don’t want to miss out on all those fun party moments. To make things easier we compiled a list of great party food ideas that busy parents or party planners simply swear by. Why not make your celebration even more special by adding your own little spin to these favorite party food treats for kids? 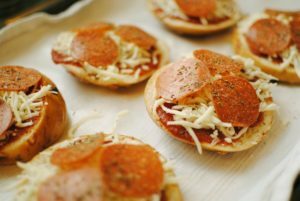 Mini Pizzas– Always guaranteed to be a hit with children, making your own mini pizzas is not just fun but also inexpensive. Take one slice of bread and apply a layer of tomato sauce on it. Then add a dash of mozzarella cheese and grill the pizzas in the oven for a minute. You can add your favorite toppings like diced black olives or shredded chicken. Little Sandwiches– Kids love party finger foods that have been cut in different shapes with a cookie cutter. Little cucumber or cheese sandwiches are usually quite popular. The bite sized sandwiches are not only easier for children to chew but you won’t have to worry about wasted portions. Alternatively, some children who are bigger (in the age-group 5- 9 years of age), may want to make their own little sandwiches instead. Simply display a few diced ingredients like cheese, tomatoes, ham, tuna, chicken, lettuce and bread slices and let the youngsters customize their own sandwiches. Mini Kebabs- are always a must-have fun party food item on a kid’s party list. 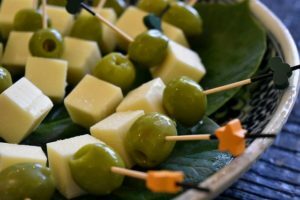 You can make your own little kebabs by spearing a cocktail sausage and a cube of diced cheese on long toothpick. You could also make a fruit kebab by spearing a few diced seasonal fruits together. It’s a healthy and simple snack which satisfies a child’s sweet tooth, as well. Jellies- Jellies are so easy to whip up and instead of serving individual portions, why not simply pour a small quantity of jelly into mini plastic cups and chill them straightaway? You could also make different multicolored layers for each child or simply have an assortment of fruity flavors. Keep small bowls of cream, sprinkles, nuts and candied fruits on the table so that everyone can choose their own topping. This party food idea never fails to put a smile on a child’s face! 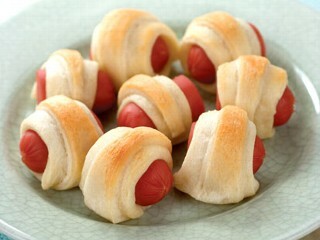 Pigs in a blanket- Hot dogs may be fun but pigs in a blanket may be even better. Just get strips of crescent roll dough and wrap them around little sausages. This is very easy to put it together and sure everyone will love it. Cupcakes- are very easy to make. With the variety of ready mixes sold today in groceries you can never go wrong. You can also bake your own batch from scratch and decorate them with licorice, sprinkles, icing of different colors and chocolate buttons. These decorative things are always a hit at parties. Ice Lollies- are excellent for kids of any age. How to prepare them? Just dilute juice with a small amount of water or puree fresh fruits and mix with cream or yogurt. 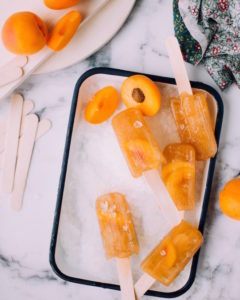 To make a batch of ice lollies just pour in plastic molds and place in freezer until frozen. These choices of simple party food for kids will sure be a hit for any celebration.